"Have nothing to do with godless myths and old wives' tales; rather, train yourself to be godly. For physical training is of some value, but godliness has value for all things, holding promise for both the present life and the life to come." 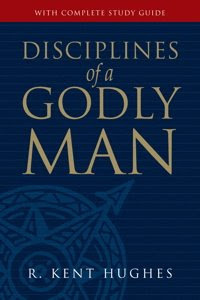 I am excited to see how the Lord will use our time together to develop godly disciplines that will help us be better husbands, fathers, and men of God. Please pray that our study would bear fruit. Not just for my guys, but for me as well.